**Please Note: This item can only be sold in multiples of 100. The Checkpoint Original® is a pioneer in the global market. 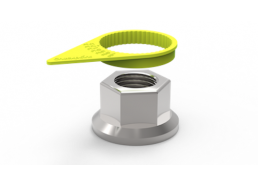 The first ever product to provide a wheel nut movement indication on vehicles. Finding it’s way from its UK origin, this safety concept has gradually spread throughout the world and still continues to grow in popularity day-by-day. 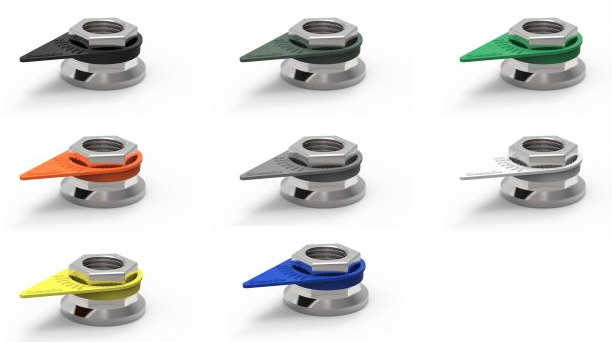 The Checkpoint Original® wheel nut movement indicator is in high demand globally, being a core product from the Checkpoint-Safety range. Available in a wide range of sizes, the Checkpoint® aims to cover a wide scope of applications throughout commercial, industrial, rail, military and agricultural sectors, among many others. · Provide a clear visual indication of wheel nut movement, which is particularly useful and applicable in the commercial vehicle sector. 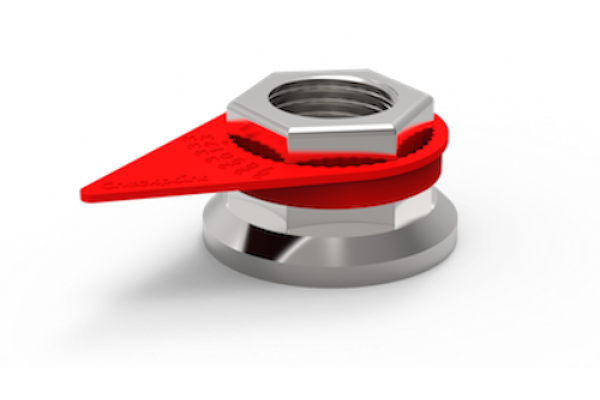 ✓ Improved safety of fittings where nuts are a critical structural component, such as on vehicle wheels, rail track and industrial/commercial structures. 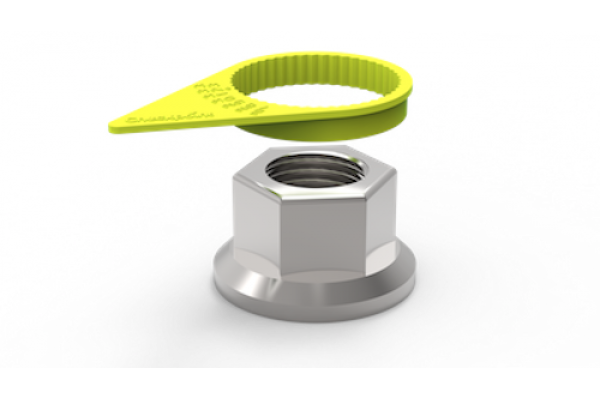 ✓ Facilitates the ease of walk around and visual checks or audits to locate problems with fixtures or fittings where nuts are used as a critical component. ✓ Reduction in maintenance costs resulting from accurate locating of nut loosening or wheel overheating. ✓ Reduction in vehicle downtime. ✓ Improved professionalism, roadworthiness and safety related company image or reputation. ✓ Cost effective and easy solution to implement. The Checkpoint Original® Standard/High Temperature (HT)/Ultra High Temperature (UHT) are all resistant to road salt, water/moisture, detergents, oil and most other contaminants/solvents. Maintaining a very high standard with the highest quality virgin polymers. Blue, Black, Drab Olive Grey, Green, Orange, Silver Grey, White and Solid Yellow. The two main materials that are available from stock* are Standard and High Temperature (HT). The Standard product material has a melting point of 125˚C and the High Temperature has an increased melting point of 165˚C. Also available to order in Ultra High Temperature (UHT) with a melting point of 203˚C, subject to minimum order quantity.